The Subway in Zion National Park, Utah USA is one of those Iconic spots which always draws a crowd. I visited this location at the end of the winter in the off season and I still ran into about ten people. 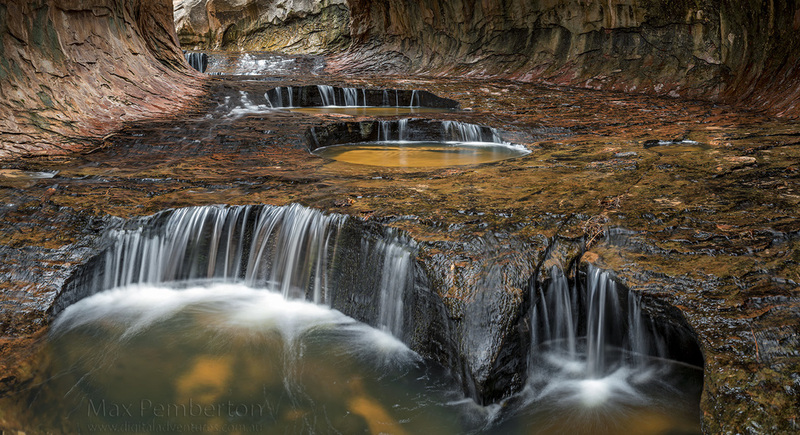 This is part of North creek within Zion. To get to this location you need to either complete a technical canyon including a 9.5 mile hike, or the bottom up route which is about the same length hike. As It was still technically winter I decided to avoid the swimming sections and hiked in from the bottom. This was a spectacular spot which captivated me for a couple of hours. The water over time has eroded a large tunnel through the rock which makes a 90 degree bend. At the right time of day the rock cliffs towering above throw an amazing orange light down this tunnel. The result is an look alike to a subway tunnel with a train approaching. Unfortunately the day I visited was overcast and I didn't get to see the warm light, maybe next time. Stay tuned for more photos from this location. 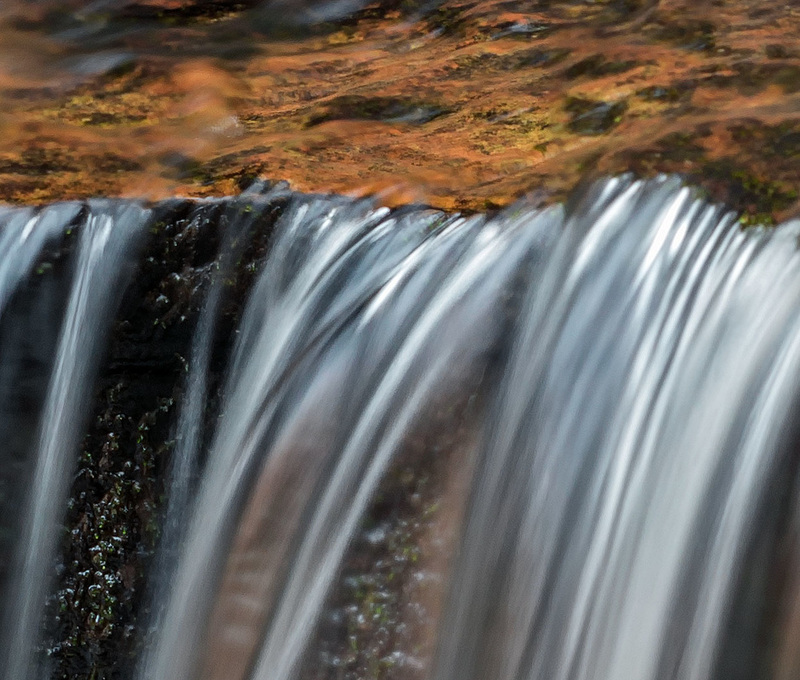 This image is a 180MP image consisting of six separate images, to give you a understanding of the quality click on this thumb nail for a high resolution 100% crop from the middle of the first waterfall in the image.